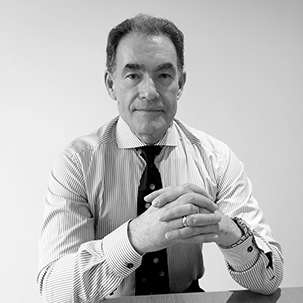 Thomas Coughlin is the Chief Executive Officer (CEO) of Allocated Bullion Exchange (ABX). He has worked in the investment, funds management and bullion industries for approximately fifteen years. His professional portfolio management career spans the foundation of the boutique investment company, TRAC Financial, to the establishment of a highly successful Absolute Return Fund. 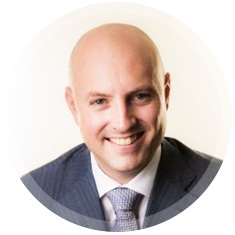 Thomas has dedicated a significant part of his career working collaboratively to build the complex systems of a cross-border international bullion market with an extensive global network of central bankers, brokers, fund managers and advisers. His experience, extensive network and broad knowledge of capital markets, enable him to deliver exceptional value and insight to all stakeholders. Andrew Maguire Gold Trading, is a trading name of Goldstar Global Ltd. Andrew Maguire Gold Trading is a service formed with the explicit purpose of the education of precious metals traders. Goldstar Global Ltd is a wholesale bullion trading company providing the most advanced solution for the trading and storing of precious metals.Andrew Maguire, Independent London Metals Trader and Analyst, internationally renowned for his unique ability to read the precious metals market with his specialist knowledge and experience gained over 35 years trading in financial and commodity markets is the expert in these highly complex and competitive fields. Andrew directly oversees all of Goldstar Global services. Laurence J. Kotlikoff is a William Fairfield Warren Professor at Boston University, a Professor of Economics at Boston University, a Fellow of the American Academy of Arts and Sciences, a Fellow of the Econometric Society, a Research Associate of the National Bureau of Economic Research, and President of Economic Security Planning, Inc., a company specializing in financial planning software. An active columnist, Professor Kotlikoff's columns and blogs appear in the Financial Times, Bloomberg, Forbes, Vox, the Economist, Yahoo.com, and the Huffington Post. Professor Kotlikoff received his B.A. in Economics from the University of Pennsylvania in 1973 and his Ph.D. in Economics from Harvard University in 1977. From 1977 through 1983 he served on the faculties of economics of the University of California, Los Angeles and Yale University. In 1981-82 Professor Kotlikoff was a Senior Economist with the President's Council of Economic Advisers. 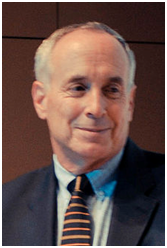 Professor Kotlikoff is author or co-author of 16 books and hundreds of professional journal articles. His most recent books are The Clash of Generations (co-authored with Scott Burns, MIT Press), The Economic Consequences of the Vickers Commission (Civitas), Jimmy Stewart Is Dead (John Wiley & Sons), Spend �Til the End, (co-authored with Scott Burns, Simon & Schuster), The Healthcare Fix (MIT Press), and The Coming Generational Storm (co-authored with Scott Burns, MIT Press) and Generational Policy (MIT Press). Professor Kotlikoff's writings and research address financial reform, personal finance, taxes, Social Security, healthcare, deficits, generational accounting, pensions, saving, and insurance.